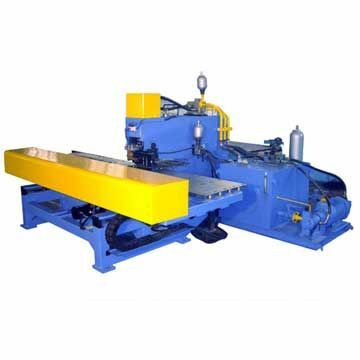 The equipment has two hydraulic clamps and they can move along the X axis as well float in the vertical direction, so as to meet the requirement of different size of the work pieces. If the connection plate is slight uneven, then it will be cocking-up a little when punching press, clamps will move with it, so as to avoid the damage. Clamp is devised into up and down prefabricated chelas, so it is very convenient to be replaced after abrasion if any. Company Name: Chengdu Vista CNC Manufacture Co., Ltd. Address: No.298 Wenjia Road, Qingyang District,Chengdu,Sichuan,China.